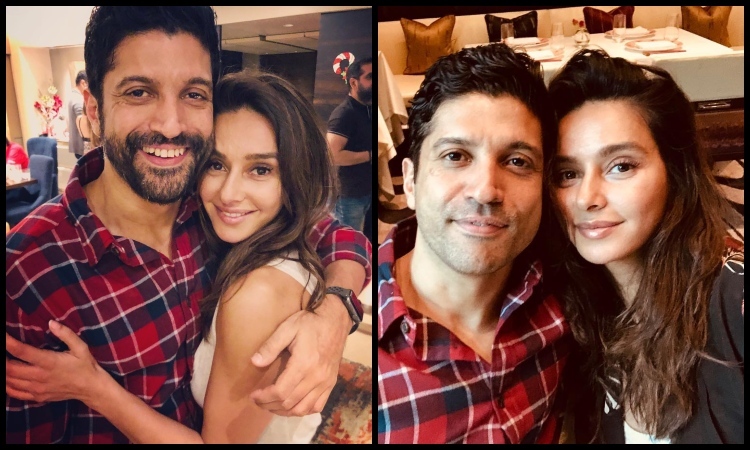 The trending couple Farhan Akhtar and Shibani Dandekar have made it to the headlines as the couple made their relationship official over Instagram a few months back. The couple made their first public appearance as during Deepika Padukone and Ranveer Singh's wedding bash in Mumbai. Adding to it, the couple has been flaunting their PDAs over Instagram. On the festive occasion of Christmas, Farhan-Shibani got together to celebrate Christmas with friends and family. Shibani's sister and TV host Anusha Dandekar took to her Instagram page and shared a photo with her close friends celebrating Christmas together. We can see Shibani-Farhan sitting together on the dinner table while raising a toast. Her caption read: "Christmas really is my favourite time of the year... I love having family and friends together & everyone laughing, drinking & dancing. So grateful for all of it. It was so strange not to have it at home this year but thankyou @jwmarriottjuhu for making it a home away from home experience #thankyouuniverse"